One hundred years ago a group of American musicians docked in London, bringing with them for the very first time one of the twentieth century’s most important musical genres: jazz, a fascinating blend of rigorous structure, free-wheeling creativity, close-knit ensemble work and improvisation. 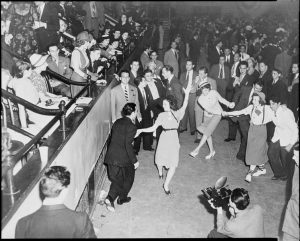 To tie in with The Age of Jazz exhibition, a collaboration between The Arts Society and The Bulldog Trust at London’s Two Temple Place running from January-April 2018, Sandy Burnett’s lecture covers the early years of jazz from its beginnings through to the start of the Second World War. Drawing on his practical experience both as musicologist and gigging musician, Sandy is able to shed light on jazz from the inside. His illustrations range from early pre-impressions by Maurice Ravel and others and the very earliest jazz recordings through to classics by Louis Armstrong’s Hot Five and the Duke Ellington Orchestra, and the dawn of the Swing Era. 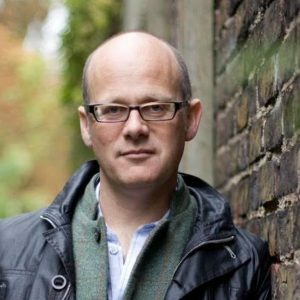 After studying music at St Catharine’s College, Cambridge and working as music director for the RSC, National Theatre and in London’s West End, Sandy Burnett spent a decade as one of the core team of music presenters on BBC Radio 3. 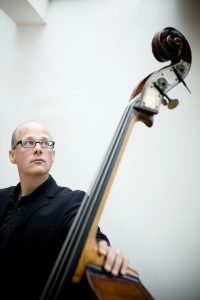 He enjoys a varied career that embraces broadcasting, conducting, playing double bass and communicating his passion for music. His radio series for Ireland’s RTÉ Lyric FM, Great Moments in Classical Music, recently won silver in the Specialist Music category of the PPI Radio Awards. He regularly leads cultural lecture holidays, and is the author of the Idler Guide to Classical Music. More information is at www.sandyburnett.com.